Silverbell (Halesia spp. ): growing, planting, caring. Silverbells are popular ornamental plants, grown for their delicate pendulous flowers in late spring. Scientific name : Halesia spp. 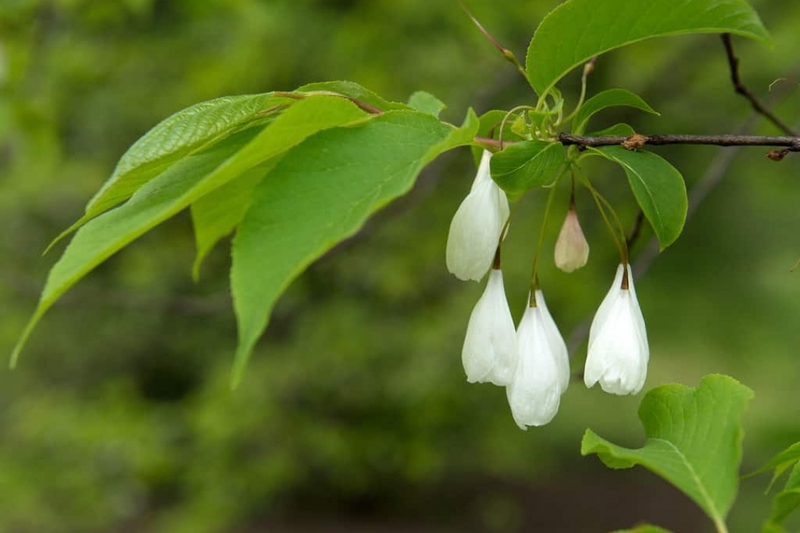 Halesia - the silverbell or snowdrop tree - is a small genus of deciduous large shrubs or small trees in the family Styracaceae, native to eastern Asia and north-eastern America. They grow to 5–20 m (16–66 ft) tall with alternate, simple ovate leaves 5–16 cm long and pendulous, white or pale pink, 1–3 cm long flowers.